» The publications of the Museum of Contemporary Photography are on sale at the ground floor bookshop of museum. The publications of the museum can be purchased directly from the website. The online catalogue contains the cover and descriptions of all publications, as well as instructions for acquiring them. Some books in the catalogue are available at a 10% discount. Payment can be effectuated through Paypal or bank transfer, with guaranteed security. Shipping costs vary in function of the number of books ordered. The work of Patrick Tosani, constructed over time as a lucid reflection on the photographic medium, concentrates on three topics that are inseparable from one another: space, object, body. For nearly forty years he has been investigating the features that constitute photography itself, its potential, its limitations and its relation with the visible reality. Permanently at the centre of this research (applied to common objects that inhabit our everyday lives, to the human body, to the simplest clothes that we wear and to architecture) lies the question of scale that photography uses to transform the objects of the world into images: and his photographs make them appear as evident, magnified, extraordinarily enhanced in a new perceptive dimension. 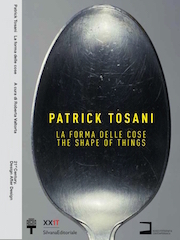 With extreme precision Tosani studies the process of transferring the tridimensional reality to the bidimensional surface of a photograph and underlines the autonomy of the photographic image that becomes a new object in and of itself. Moira Ricci, an artist born in the splendid and harsh Maremma countryside, has always been loyal to her homeland, interjecting its oldest narratives and taking inspiration from the old stories of family and country, full of symbolic meanings. Through them she has spun the dense weave of her own individual identity, making the original bond with her territory the true genesis of her art. Using photography, video and installation as her privileged media, Moira Ricci recovers old images from family albums and small private archives, collects visual and audio testimony, revives personal childhood memories and gives them new meanings. This book, which includes two major projects by the artist (Da buio a buio, 2009-2015, and Dove il cielo è più vicino, 2014), speaks of rural civilization, its narratives and its profound contemporary crisis. Produced by the Museum of Contemporary Photography, the catalogue presents an exhibition dedicated to the theme of diversity/inclusion by way of four projects by Cesura, an independent photographers collective. The exhibition was organized in collaboration with RS Components, a company that has made social responsibility a cornerstone of its identity. 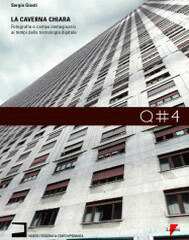 The four stories recounted by Arianna Arcara, Gabriele Micalizzi, Alessandro Sala and Luca Santese of the Cesura collective are profoundly relevant, touching on important problems in our complex contemporary society, addressing the delicate theme of changing ourselves and the world around us through specific choices and behaviors in the spirit of civility and respect for others. Among the vast collections of the Museum of Contemporary Photography (2 million images, 33 photographic funds, more than 600 Italian and foreign artists), many are photographs that recount the social, cultural and urbanistic history of the city of Milan. In this historical moment, the city is undergoing significant changes. 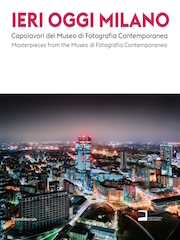 The selection of works for this volume constitutes a reflection on the profound transformations that have defined Milan’s identity from the postwar era to the present, as well as an opportunity to understand the evolution of the languages of photography during the passage from modernity to postmodernity. We find ourselves contemplating two entirely different cities: yesterday the devastation of war, reconstruction, work, the unflinching gazes of laborers, expanding suburbs, neighborhood street life; today the great urban agglomerate, the introduction of diverse individuals and communities, construction sites, skyscrapers springing up everywhere, the skyline of globalization. 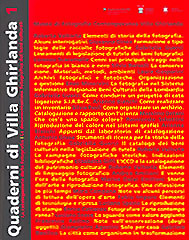 Authors: Giampietro Agostini, Marina Ballo Charmet, Olivo Barbieri, Gianni Berengo Gardin, Gabriele Basilico, Luca Campigotto, Vincenzo Castella, Mario Cattaneo, Carla Cerati, Giovanni Chiaramonte, Cesare Colombo, John Davies, Attilio Del Comune, Paola De Pietri, Paola Di Bello, Peter Fischli e David Weiss, Emilio Frisia, Moreno Gentili, Paolo Gioli, Paul Graham, Guido Guidi, Giovanni Hänninen, Mimmo Jodice, Uliano Lucas, Tancredi Mangano, Paola Mattioli, Gianfranco Mazzocchi, Paolo Monti, Toni Nicolini, Enzo Nocera, Federico Patellani, Tino Petrelli, Bernard Plossu, Pietro Privitera, Francesco Radino, Achille Sacconi, Beat Streuli, Thomas Struth, Pio Tarantini, Alessandro Vicario, Massimo Vitali, Manfred Willmann, Giovanni Ziliani. Federico Patellani (Monza 1911 – Milan 1977) was a major figure in the history of Italian photojournalism. He left us with a rich archive of images, almost all of them shot for newspapers, now conserved at the Museum of Contemporary Photography in Cinisello Balsamo. A sensitive and cultured narrator, Patellani witnessed all the events that impacted Italian society of the postwar era: from the monarch-republic referendum to occupation of the southern territories, from agricultural and factory labor to the birth of the beauty pageant, from the world of cinema to portraits of artists and intellectuals of the period. This volume is an anthology of the work of Patellani – considered one of the greatest exponents of photographic neorealism – thanks to a collection of photos that show us an Italy struggling back to its feet after the Second World War, with a rigorous but never detached gaze. It is worth noting his friendships with Carlo Ponti, Mario Soldati, Dino De Laurentis and Alberto Lattuada, thanks to whom he had the opportunity to visit various film sets and photograph actors such as Totò, Sofia Loren, Ingrid Bergman and Silvana Mangano, to name just a few. Other famous portraits come from his visits to intellectual and high society salons, like Thomas Mann, Ungaretti, Soffici, Carrà and Baj. The volume includes critical essays, memoirs and writings by Patellani himself, including the article published by Domus titled “Il giornalista nuova formula”, in which he traces the physiognomy of the modern photoreporter, the profession to which he dedicated his long career. Published on the occasion of the 10th anniversary of the Museum, the volume presents a selection of works from the 33 photography funds that compose the collections, along with illustrated entries on the 15 principal projects in the areas of education, art patronage and participative art. It also includes entries on all the photography funds, the library, the Museum’s exhibition history, conferences, seminars, books and films published during its first ten years. 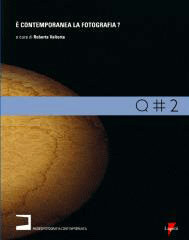 Authors: Andrea Abati, Giampietro Agostini, Marina Ballo Charmet, Olivo Barbieri, Gabriele Basilico, Gianni Berengo Gardin, Peter Bialobrszeski, Günter Brus, Vincenzo Castella, Mario Cattaneo, Cesare Colombo, Mario Cresci, Paola Dallavalle e Fulvio Guerrieri, Marco Dapino, Paola De Pietri, Gilbert Fastenaekens, Joan Fontcuberta, Vittore Fossati, Luigi Gariglio, Jean-Louis Garnell, Carlo Garzia, Moreno Gentili, Jochen Gerz, Bepi Ghiotti, Luigi Ghirri, Paolo Gioli, William Guerrieri, Guido Guidi, Jeroen Huisman, Arno Hammacher, Jitka Hanzlovà, Roni Horn, Alfredo Jaar, Karen Knorr, Francesco Jodice, Mimmo Jodice, Gianni Leone, Uliano Lucas, Fulvio Magurno, Martino Marangoni, Roberto Masotti, Paola Mattioli, Giuseppe Morandi, Toni Nicolini, Cristina Nunez, Cristina Omenetto, Federico Patellani, Bernard Plossu, Francesco Radino, Paolo Riolzi, Achille Sacconi, Roberto Salbitani, Marco Signorini, Alessandra Spranzi, Antonio Strati, Beat Streuli, Pio Tarantini, George Tatge, Hans van der Meer, Fulvio Ventura, Cuchi White, Silvio Wolf. This visual essay offers ideas for conducting experiential workshops starting with the reuse of existing iconographic material. It talks about people, photography and books, but also about creative processes of bricolage from an anthropological perspective. Parlami di te provides readers with an opportunity to rediscover the contents of their own ‘toolboxes’ of words and images and its communicative potential in a series of experiments involving visual re-elaborations focused on dialogue – between people, between images and between people and images. 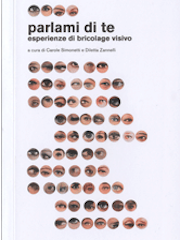 The book is part of the project “Parlami di te. La fotografia come dialogo tra generazioni”, which consists of a series of workshops conceived by four artists – Tiziano Doria, Claude Marzotto, Giulia Ticozzi and Ilaria Turba. 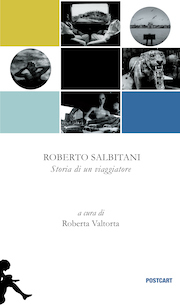 This volume recounts the artistic and existential life of Roberto Salbitani, one of the masters of contemporary Italian photography. 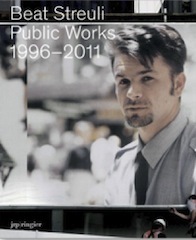 His work, introspective, visionary and sometimes critical of the conformist values and behaviors that shape contemporary society, investigates the difficult relationship between humans and the environment: from the expanding city to the territories overwhelmed by the violent process of urbanization to the search for elective sites in which to recover a liberatory relationship with lost nature. Salbitani has always woven his artistic enquiry with the investigation and teaching of printing techniques, of which he is an accomplished master. 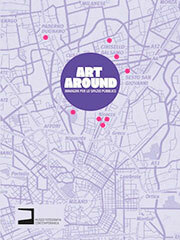 A guide, the first of its kind, to North Milan through encounters and works by eight young artists who worked from March 2011 to October 2012 in eight cultural sites to realize eight site-specific projects. The book Art Around – Immagini per lo spazio pubblico is the catalogue of the public art project of the same name sponsored by the Museum of Contemporary Photography between spring 2011 and autumn 2012. The catalogue features installations by Daniele Ansidei (Centro culturale Il Pertini, Cinisello Balsamo), Fabrizio Bellomo (Parco Archeologico Industriale ex-Breda, Sesto San Giovanni), Matteo Girola (Teatro degli Arcimboldi, Milan), Simona Di Meo (Zona Bicocca, Milan), Rachele Maistrello (Parco Nord Milano, Bresso, Cinisello Balsamo, Milan, Sesto San Giovanni), Nicola Nunziata (Villa Forno, Cinisello Balsamo), Alessandro Sambini (Centro Sperimentale di Cinematografia, Ex-Manifattura Tabacchi, Milan), Giulia Ticozzi (Biblioteca Tilane, Paderno Dugnano). Joachim Schmidt (Balingen, 1955), paradoxically known as “the photographer who takes no photographs”, has worked with photography since the early 1980s without producing any images of his own. Asserted in 1989 on the 150th anniversary of the invention of this medium, the principle of taking no new photographs until use has been made of those already existing is one to which he still adheres. In the present-day civilization of images characterized by an ever-greater proliferation of photographs to the point of habituation and meaninglessness, Schmidt has decided to halt production and confine himself to seeking out, collecting and using photographs already taken by others. This boundless material also include picture cards, exhibition invitations, posters, postcards, photos found in flea markets and archives, and images downloaded from websites and social networks. The German artist captures them from the great flow of contemporary communication, files them, appropriates them, combines them with one another and sometimes manipulates them in search of possible new meanings. A collector, recycling enthusiast, cataloguer and environmentalist therefore rather than a photographer, Schmid has left his imprint on theoretical debate about this medium. His stance combines two fundamental themes of contemporary art, namely Duchamp’s idea of the ready-made and the “death of the author” envisaged by Roland Barthes. 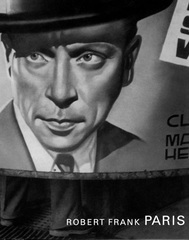 Having investigated all the forms of mass photography and all of the different associated languages, He has probably seen but above all used more images than anyone else in the world over the last few decades. His new and ironic call today is therefore for people not to stop taking photographs. lessandra Olivares, after having previously worked on the fashion references in the work of Cindy Sherman (he essay “Cindy Sherman: la moda “contro”” was published in the volume edited by Federica Muzzarelli, Obiettivo moda. Incursioni nella fotografia di moda contemporanea, 2010), chose “the timeless elegance of the models of Deborah Turbeville, the intensity of the photographs of Bettina Rheims and the icy and asceptic beauties of Vanessa Beecroft” to investigate “the themes of the gaze, the body and voluble world of fashion”, to use her words. Three artists very different from one another, a triad that generates the structure of the essay. Winner of the fourth edition of the Paolo Costantini award for photography essays. LA CONCERNED PHOTOGRAPHY IN ITALIA.FOTOGRAFIA E IMPEGNO CIVILE. 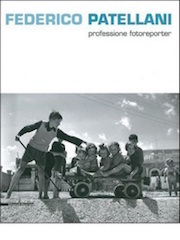 The essay provides a survey of socially engaged photography in Italy, examining the numerous photographers and theorists who participated, from the postwar era to the 1970s, in the debate on the social and civic function of photography as a vehicle of documentation and information. 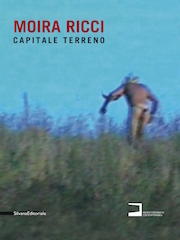 Winner of the third edition (2008) of the Paolo Costantini award for photography essays. The volume presents an ample collection of writings by Antonio Arcari, an important photography scholar engaged in the historical and critical debate of the 1960s and in education, known primarily for having devised the didactic method used for the photography courses of the Società Umanitaria, then the C.F.P. Riccardo Bauer in Milan. 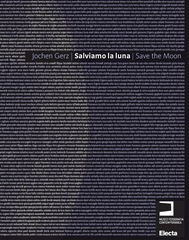 Writings by Silvia Arcari, Alessandra Cattaneo, Fabrizio Celentano, Cesare Colombo, Paolo Lazzarin, Gianfranco Mazzocchi, Toni Nicolini and Diletta Zannelli. IThe volume examines the importance of public initiatives to promote photography from the mid-19th century to the present. 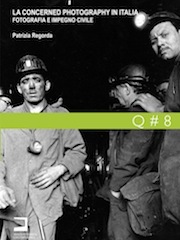 It includes 18 essays by important international photography scholars on the same number of public patronage projects. 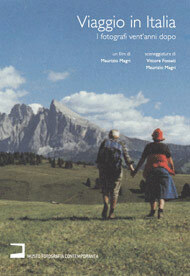 Texts by Roberta Valtorta, Anne de Mondenard, Roger Taylor, Marie de Thézy, Mary Panzer, Maria Antonella Pelizzari, Andrea Emiliani, Bernard Latarjet and Francois Hers, Pierre Devin, Jean Francois Seguin, William Guerrieri, Frits Gierstberg, Giorgio Negri, Annette Rosengren, David Chandler, Margherita Guccione and Francesca Fabiani. 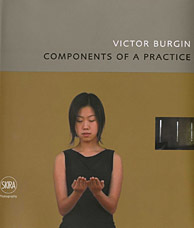 The volume documents the activities and projects realized by the Education Department of the Museum of Contemporary Photography. The entries are preceded by theoretical contributions on the relationship between the Museum and the public. 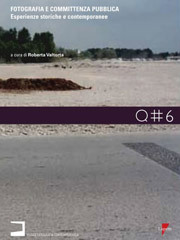 Texts by Roberta Valtorta, Simona Bodo, Gustavo Pietropolli Charmet, Silvia Mascheroni, Diletta Zannelli. Project entries by Annalisa Cesario, Marilena Criscuolo, Sergio Giusti, Laura Losito, Silvia Mascheroni, Francesca Minetto, Laura Tono, Federica Travagliati, Diletta Zannelli. 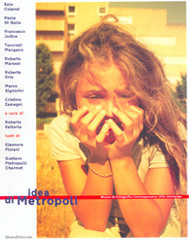 Catalogue produced at the conclusion of the digital photography contest involving teens from the cities of Milan and Toronto. The volume presents all the photographs by the 60 young people selected for the contest, along with images recounting the course of the entire project, completed by brief reflections by members of both the Milan and Toronto juries. Introduction by Corrado Paina and Matteo Balduzzi. 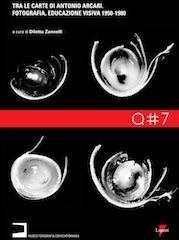 Texts by Chiara Agnello, Michael Awad, Attilio Azzola, Gian Mario Benzing, Luigi Gariglio, Christopher Hume, Che Kotari, Fabrice Marcolini, Shahina Sayani, Roberta Valtorta. 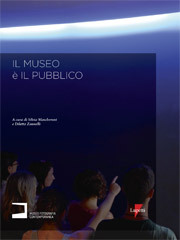 Catalogue of the exhibition held at the Triennale di Milano. Curated by Gabi Scardi, Roberta Valtorta. 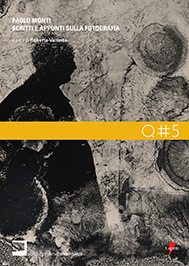 Interview by Gabi Scardi, texts by Roberta Valtorta, Marco Belpoliti, Stefano Boeri, Joseph Grima, Gustavo Pietropolli Charmet. In collaboration with The Center for Creative Photography, Jyvaskyla, The Finnish Museum of Fotography, Helsinki e Museo di Fotografia Contemporanea, Cinisello Balsamo – Milano. 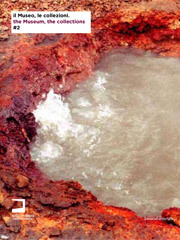 Texts by Kimmo Lehtonen, Luigi Gariglio, Roberta Valtorta, Francesco Zanot, Kimmo Jokinen, Elina Heikka. On the occasion of the 100th anniversary of the birth of Paolo Monti, master of 20th-century Italian photography, the Museum of Contemporary Photography presented the volume Paolo Monti. 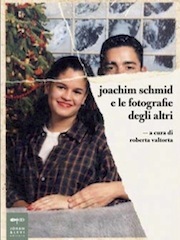 Scritti and appunti sulla fotografia, which gathers his writings on photography, teaching materials and handwritten notes from 1952 to 1981, along with 14 photographs from the Museum’s collection. 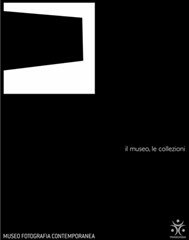 Catalogue of the exhibition held at the Kestnergesellschaft in Hanover (26 August– 30 October 2005) and at the Museum of Contemporary Photography in Cinisello Balsamo – Milan. 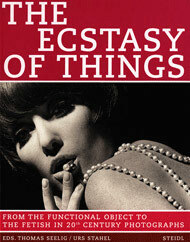 With an introduction by Roberta Valtorta and an essay by Maik Schlüter. 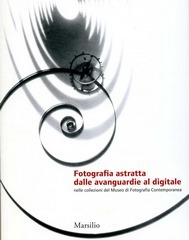 FPhotography and digital technology: issues of economics, mass media and the most strictly theoretical problematics of the alleged new statutes of photography. 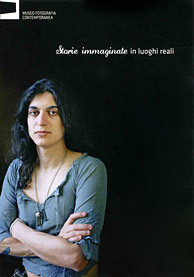 Winner of the 2004 edition of the Paolo Costantini award for photography essays. 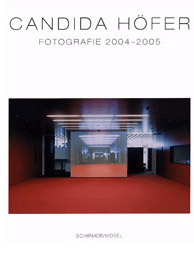 Catalogue of the exhibition presented at the Fotomuseum Winterthur (4 September – 14 November 2004), at the Museum of Contemporary Photography and Spazio Oberdan in Milan. 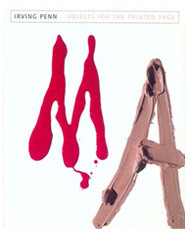 Writings by Hubertus von Amelunxen, Norbert Bolz, Gerda Breuer, David Campany, Neil Cummings, Gisela Ecker, Michel Frizot, Martin Jaeggi, Michael Jakob, Thilo Koenigg, Susanne Scholz, Thomas Seelig, Urs Stahel, Timm Starl. Through interviews with the foremost photographers who took part in the project, (Gabriele Basilico, Olivo Barbieri, Vincenzo Castella, Giovanni Chiaramonte, Mario Cresci, Carlo Garzia, Mimmo Jodice, Gianni Leone, Fulvio Ventura) with art historian Arturo Carlo Quintavalle, writer Gianni Celati and Paola Borgonzoni Ghirri, the film reconstructs the cultural climate of the early 1980s and investigates the origins of Viaggio in Italia, the meaning of the type of photography it proposed, and its influence on subsequent photographers. Collection of the papers delivered at to the seminars held between 2001 and 2004 at the Museum of Contemporary Photography, supplemented by texts from critics, historians and museum directors from Italy and Europe. Writings by Luca Massimo Barbero, Gabriel Bauret, Pierre Devin, Bruno Di Bello, Ute Eskildsen, Vittorio Fagone, Christine Frisinghelli, Christian Gattinoni, Frits Gierstberg, Elio Grazioli, Mark Haworth Booth, Andrea Lissoni, Gilles Mora, Gianni Romano, Roberto Signorini, Tereza Siza, Urs Stahel, Francesco Tedeschi, Franco Vaccari, Hripsimé Visser, Hubertus von Amelunxen, Bas Vroege, Silvio Wolf. Photographs by Franco Vaccari, Bruno di Bello, Nancy Burson, Keith Cottingham, Jochen Gerz, Victor Burgin, Silvio Wolf, Walker Evans, Philip Lorca di Corcia, André Kertész, Aziz e Cucher, Andy Warhol. Collection of the papers delivered at the seminars La documentazione dei beni culturali / La catalogazione della fotografia. 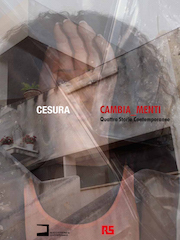 Writings by Giampietro Agostini, Gabriele Basilico, Silvia Berselli, Arianna Bianchi, Mara Campana, Enrico Cattaneo, Marisa Dalai Emiliani, Andrea Emiliani, Laura Gasparini, Elisabetta Giffi, Giovanna Ginex, Antonio Giusa, Gabriella Guerci, Fabio Impero, Enzo Minervini, Massimo Ontani, Silvia Paoli, Francesco Radino, Lorenzo Scaramella, Raimondo Schettini, Luciano Soave, Luciano Spezia, Roberta Valtorta. Photographs by Giampietro Agostini, Giampietro Agostini, Gabriele Basilico, Enrico Cattaneo, Paolo Monti, Francesco Radino, Luciano Soave. Writings by Eleonora Fiorani, Gustavo Pietropolli Charmet, Roberta Valtorta. CCatalogue of the exhibition Irving Penn. Still Life.